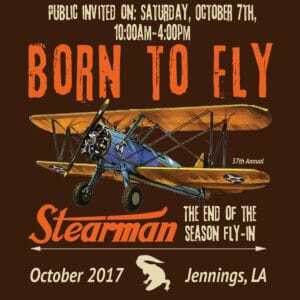 Hundreds of Stearman pilots and aviation enthusiasts from across the country will fly to Jennings Airport to show off the vintage bi-planes and take part in some friendly aerial competition both on the ground and in the air. 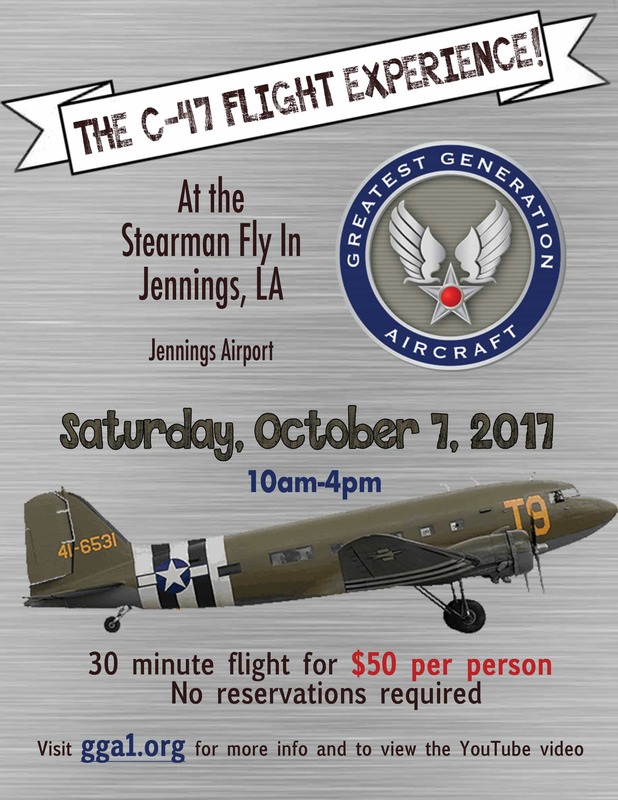 The public will have a chance to view the WWII era planes up close and visit the pilots on Saturday, October 7th from 10AM-4PM. 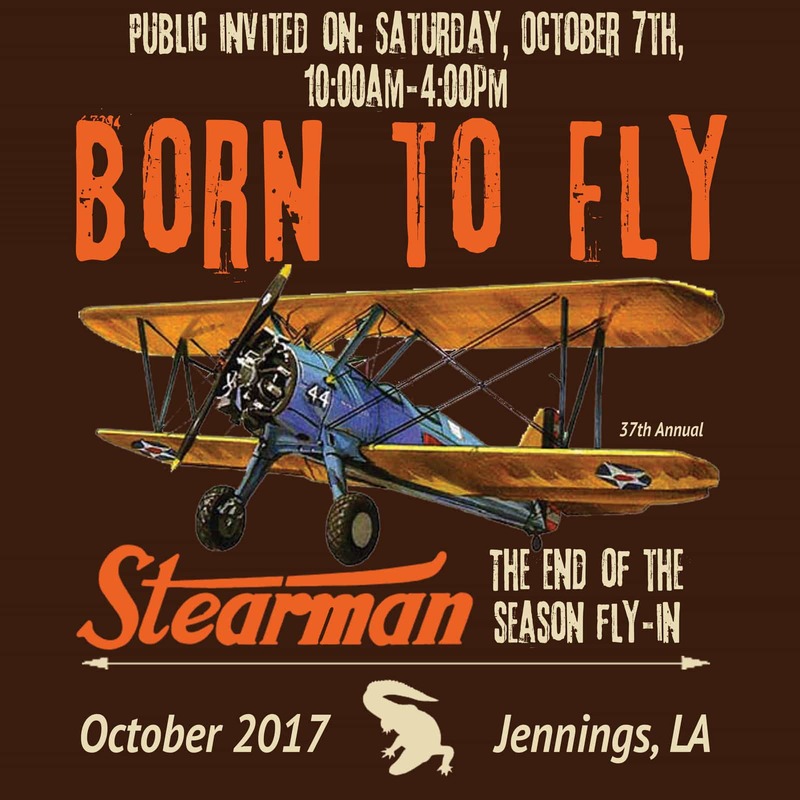 A free event! Concessions and souvenirs will be sold. 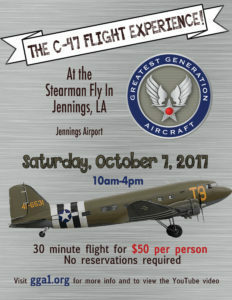 This year, we will welcome the “C47 Flight Expereince!” Take a 30 minute flight on a real WWII Bomber! Cost is $50 per person. For more information visit www.jeffdavis.org for more info!